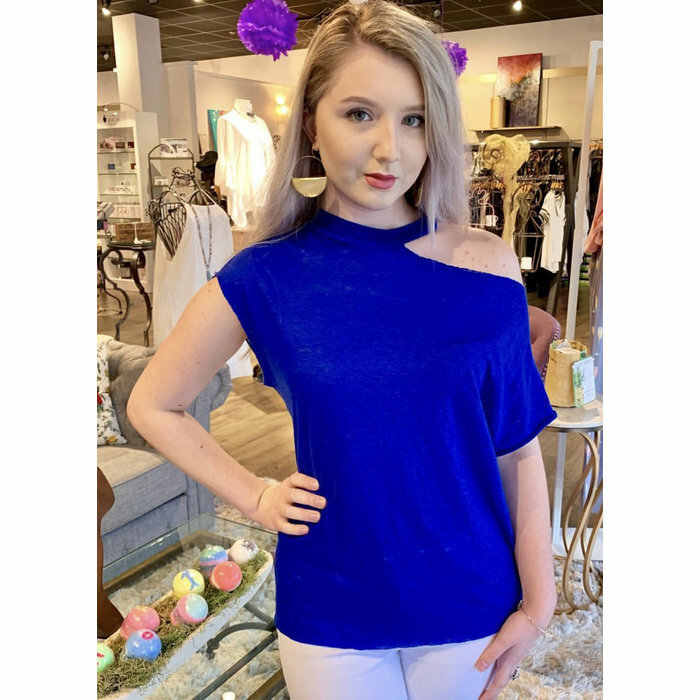 Beautiful Cobalt single dropped Shoulder top. 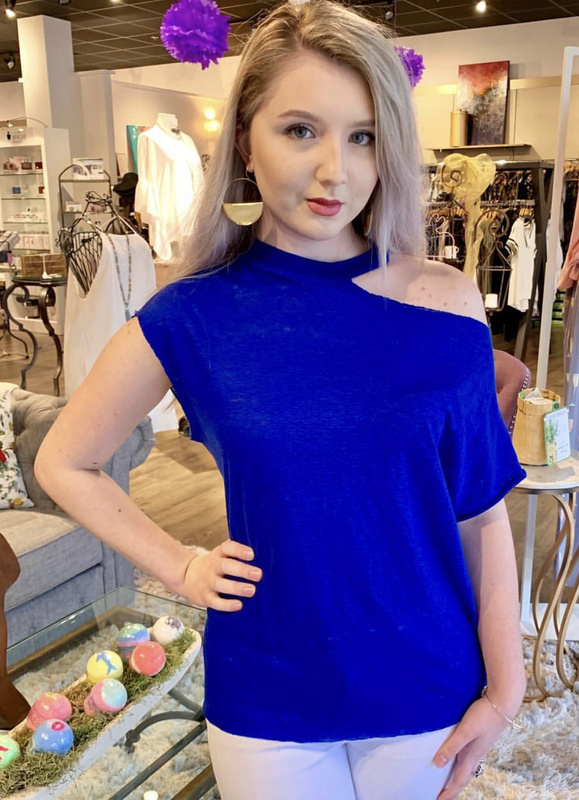 Slash detail at the neckline. Lightweight linen.